Successfully Added Teclast A10H Tablet PC - Android 7.0,Octa Core, 2GB RAM, 16GB Internal Memory, 10.1 Inch Display, OTG, 4850mAh Battery to your Shopping Cart. 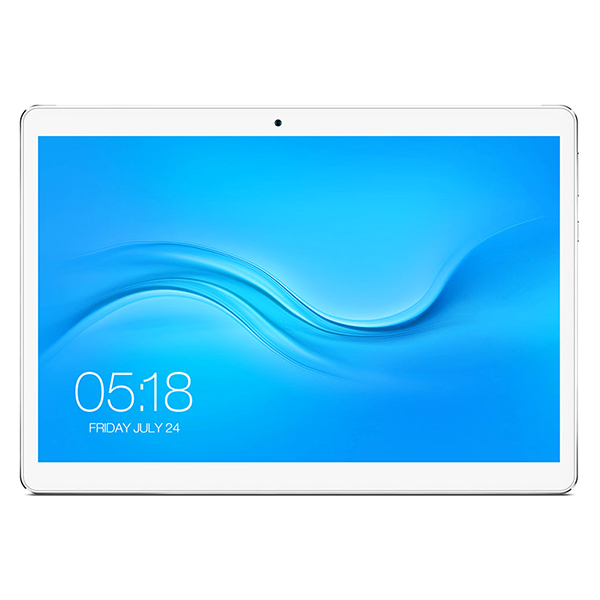 This tablet runs on Android 7.0 operating system allowing you to access the latest features. It has a 4850mAh battery capacity that will last for longer periods on a single charge. A10H Tablet PC is powered by Android 7.0, enabling you to access the latest games and applications. The tablet is designed to provide an exemplary user experience. The tablet PC has a unique metal and exquisite appearance and feel. It's light weight, so you can take it anywhere and anytime. A10H tablet is characterized by a powerful four core processor that provides a great game experience with fluent audio, excellent video playback, and FHD graphics. You can play games without any lag, which will provide a great gaming experience. The processor will provide maximum efficiency to ensure exemplary user experience while enabling multitasking. It has a 10.1 inch display of 800 * 1280 high definition screens. You can enjoy all kinds of movies and TV series in a larger screen with amazing visual effects. Color reproduction is excellent, and the angle of view is different. The great pixel resolution provides you with clear and clear images. The tablet PC has a 4850 Ma battery size and can be used for 4 hours continuously. The charging time is 3 hours and the standby time is 48 hours. This is a perfect partner, a long journey that allows you to enjoy the games and the media for a long time. The A10H Tablet PC is equipped with a 2 million pixel rear camera and a 300 thousand pixel front camera. This allows you to snap photos and use video chat applications like Skype. You can capture valuable moments without any trouble on the large camera tablet, allowing you to take a bright, clear and clear picture. The tablet PC has 16 GB of internal storage and can be expanded to 32 GB using MICROSD card. In addition, you can store a lot of files on a tablet without having to worry about running out of space. A10H- month warranty is attached to the A10H products. It's brought to you by the leader in electronic devices and wholesale Android tablets..